Ok ok I know it’s a bold claim to say these are ‘THE BEST” mustard pickles. But hey, with Zest out of the picture (RIP), we’re gunning for it. Honestly though, is there anything that makes you feel more proud than actually successfully making your own freakin pickles?? We’re like Martha gosh darn Stewart over here. (Martha wouldn’t be so uncouth as to swear). 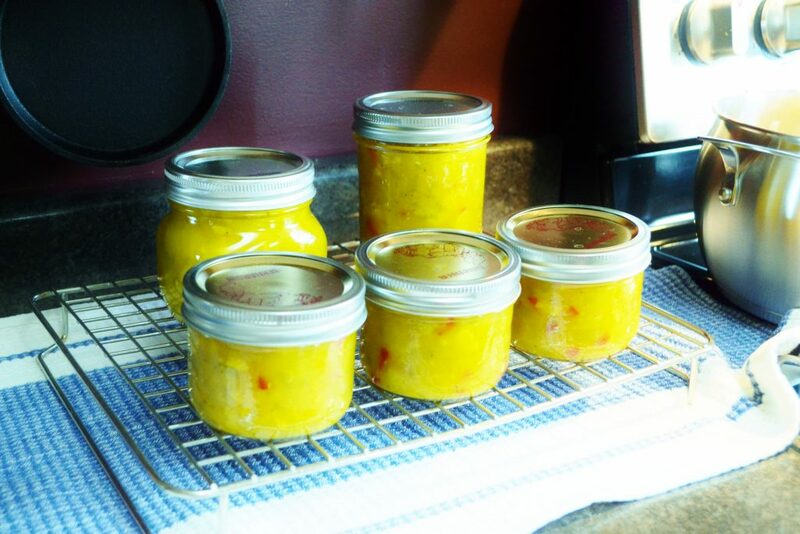 This recipe was passed on to Nicole from her friend in PEI, it is their mother’s recipe, and we’ve altered it down to a smaller batch and used mini cukes so we didn’t have to seed them. Yay for less prep! 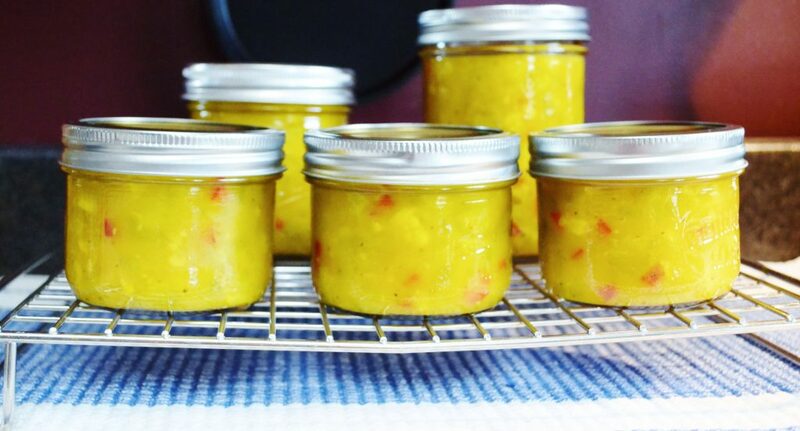 Also to note, this is more the texture of a relish, for those who are weird about textures, you can always just slice the pickles, but you’ll probably have to alter your cook time. Baby cukes are pretty cute, hey? 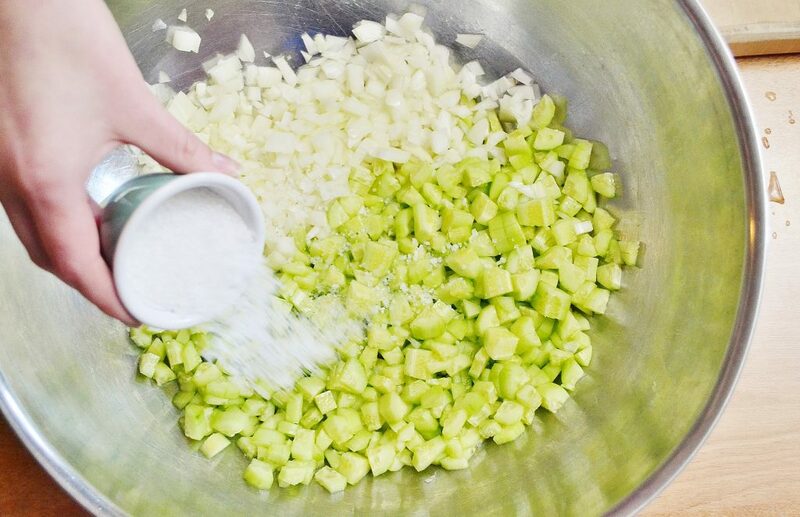 Combine cucumbers and onion with salt in a large mixing bowl. Cover completely with cold water and soak for 4-5 hours or overnight. Rinse and drain twice to remove the salt. Meanwhile, mix the spices, sugar, and cornstarch together in a bowl. Add the cold water and stir to form a "slurry". Heat the vinegar in a large stockpot until almost boiling. 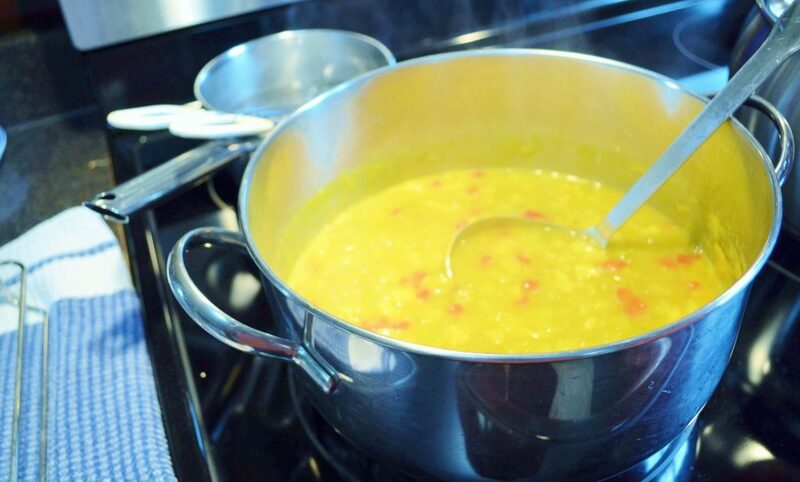 Add the slurry slowly, while stirring, then bring to a boil and simmer, stirring until thickened. 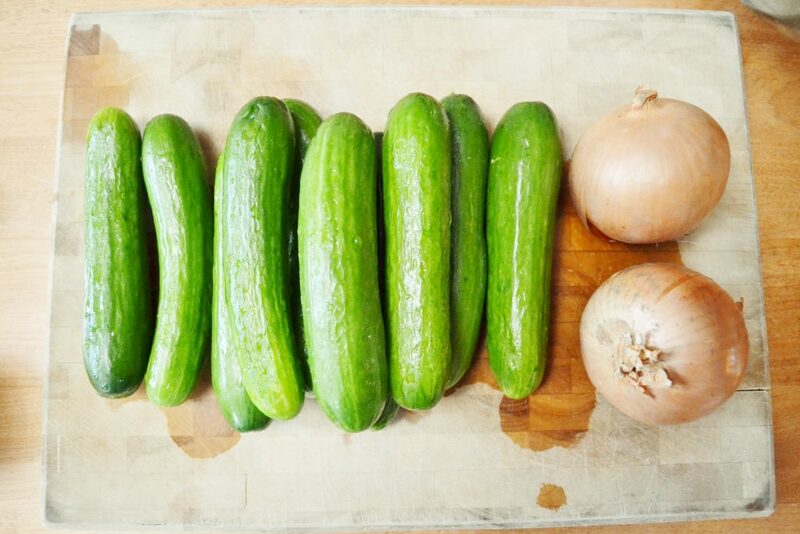 Add the cukes/onion and rest of the veg, and cook over medium heat for 10-12 minutes. Turn down heat and cover. Let simmer for 1 hour. Pour hot mixture into sterilized* canning jars and screw on the lid. Let cool on racks, checking to make sure the bottles have sealed. 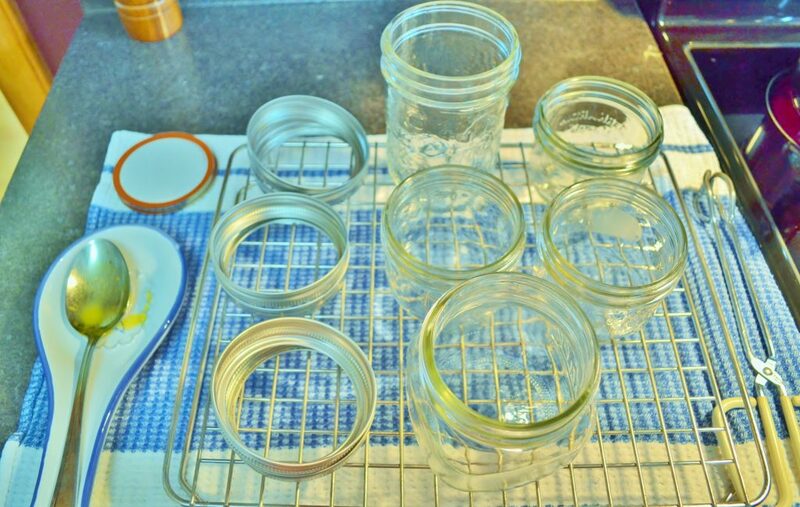 ***If you are new to canning, everything you use must be sterile. First wash all parts well in soapy water, rinse and allow to drip dry. We like to sterilize our mason jars in the oven for 10 minutes at 350F, just before we need them - much easier than boiling them in our opinion! To sterilize the tongs (metal) and ring portion of lid, we do boil them for 10 minutes, the flat portion of lids will only be boiled for 30 seconds right before using them (so one at a time), any longer can damage the rubber ring.